The St. Tammany Parish Library seeks to be a valuable partner for homeschoolers by providing materials, programs and resources to help in the learning process. Click here to find resources and guides available at the St. Tammany Parish Library. 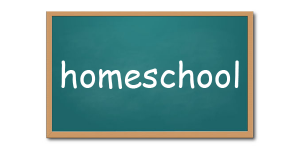 To serve you better, we are continually adding new materials about homeschooling to our collection. Learn in Freedom "shows you how to use your own initiative in learning, so you can use schools and teachers just when they are helpful to you, and voluntarily chosen by you."